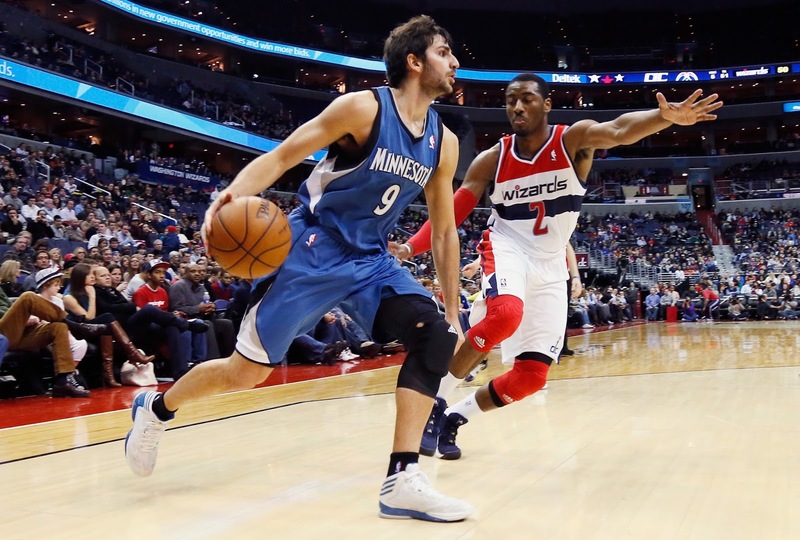 MinnPost - "'I am dying to win': a Q&A with the Timberwolves' Ricky Rubio"
"I think I bring something that is unique. The leadership [pauses] — I think it is part of playing the point. When a point guard is unselfish and thinking about the team, about winning first, it relates to the other players. So, I think that is my style of play. I come from a winning team in Europe and I know what it takes to win games and to win championships. And I am dying to win. When I go to bed and we’ve won that day, no matter what I did on the court, I am happy. And if we lost, no matter what I did, I am sad. That feeling comes from me, on the inside, and I think when I am out there playing I am sharing that with my teammates."